Find New York educational attractions to visit with your children. Whether it's a weekend activity or a summer day trip, our list of fun and educational things to do in NY is a great way to keep busy and entertained. If you are looking for an intellectually-stimulating form of entertainment for your child's birthday, these educational parties in NY feautred on KidsParties.Party are a great place to start! Romp n' Roll Orangeburg — Have Fun. Learn More. Make Friends. Romp n’ Roll is the greatest spot in town for young children 5 and under to have fun while learning and making friends! They offer a bright and clean environment designed just for kids, as well as a wide variety of classes that cover music, sports, STEM, art, dance, and much more. 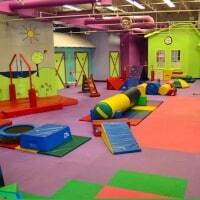 In addition to their high-quality classes, Romp n’ Roll has open playtime, special events, and Summer camps! Romp n’ Roll is also your premiere location for remarkably fun birthday parties! The parties they host are all stress free — they do everything from set-up and clean-up, so you can relax and focus on having fun with your special birthday babe. Plus, every single party gives you exclusive use of the whole facility which includes the bounce house, rock wall, bubble machine, monkey bars, and all the custom games led by their lively, energetic party hosts! Their play-based ventures increase socialization and help your child build strong physical and cognitive skills. It such a fun way for you and your child to spend some quality time with each other! Get $100 Off a Super Birthday Bash booked by November 4, 2018! Join before their doors open on September 24th and get $30 Off your first month of any membership, 50% off your Lifetime Registration Fee, and enjoy a Risk-Free trial from September 24 - September 30, 2018! If you love it as much as we know you will do nothing and your membership will continue. Or, cancel by September 30, 2018 and pay nothing! Discovering Children's Museum of Manhattan! A perfect place for an educational attraction here in New York, Children's Museum of Manhattan is where kids can learn and explore the different cultures of our world and learn to appreciate art and diversity. The museum operates 10 Am to 5 Pm every Sunday to Friday and 10 Am to 7 Pm every Saturday. Children's Museum of Manhattan is definitely a place to be where kids can learn a lot of wonderful things in art and in preparation for their formal education. 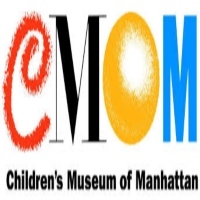 So visit Children's Museum of Manhattan today and let your kids learn and experience the fun that this wonderful museum has to offer. Visit the website for more information and programs they offer for your kid's enjoyment. A Fun Place For Learning The Arts In New York! Have a wonderful trip to the Children's Museum of the Arts and let your kids enjoy and discover new things in this magnificent children's art museum. 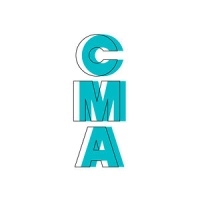 A perfect place for an educational attraction here in New York, Children's Museum of the Arts will inspire your kids and provide greater learning where they will appreciate the arts and understand their importance to our society. The museum operates Monday to Wednesday from 12 Pm to 5 Pm, Thursday and Friday from 12 Pm to 6 Pm and Saturday to Sunday from 10 Am to 5 Pm. So come to the place where your kids can enjoy and learn the value of art. Visit Children's Museum of the Arts today and have yourself a fun and memorable experience where you and your child can enjoy and learn at the same time. A Place Where Kids Can Learn And Have Fun Here In New York! Come to the American Museum of Natural History where great thing await. 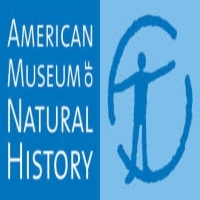 A perfect educational attraction here in New York, American Museum of Natural History provides great learning and new discoveries where kids can appreciate art, science and the human civilization. The museum is definitely a great place where kids can spend their time learning new wonderful things and participate in the fun interactive activities. Let your child enjoy wonderful learning here in New York and visit American Museum of Natural History where you and the kids can enjoy each other's company and learn new things and appreciate wonderful works of art from great artists. A Wonderful Day With The Kids At Museum of Modern Art! Spend a day with your kids here at Museum of Modern Art and learn new and interesting things that the museum has to offer. 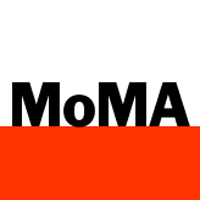 A great educational attraction here in New York, Museum of Modern Art will provide a fun learning experience where kids can enjoy and discover new wonderful things about science, human civilization and the arts. Open daily at 10:30 Am to 5:30 Pm and on Friday at 10:30 Am to 8 pm, this museum is definitely a place to be where kids can enjoy and keep themselves occupied with some new learning and great discoveries. Come to Museum of Modern Art today and have your kids enjoy their time here. You will definitely enjoy quality time together and will learn a lot of great things. 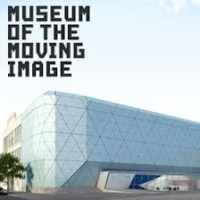 Appreciating Film And The Arts With Museum of the Moving Image! Come to Museum of the Moving Image and bring your kids along for a wonderful time learning more about arts and the films. The museum maintains the nation's largest and most comprehensive collection of artifacts relating to art, history, and technology of the moving image, one of the most important collections of its kind in the world. Open Wednesday to Sunday at 10:30 Am to 5 Pm every Wednesday to Thursday, 10:30 Am to 8 Pm on Friday and 10:30 Am to 7 Pm on Saturday to Sunday, Museum of the Moving Image is definitely a place to learn more about film and television. Come to Museum of the Moving Image, among the best places for an educational attraction here in New York. Spend quality time with your kids in this wonderful museum where you can learn many wonderful things on the art and the history of television and the films. A Place Where Kids Learn And Have A Great Time! A perfect place and an educational attraction for kids here in New York, New York Hall of Science is where kids can learn to appreciate more scientific discoveries and human innovation and be inspired to be unique and to have creativity. 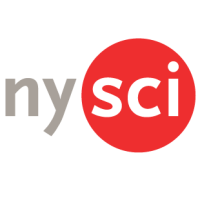 New York Hall of Science inspires kids to become the future scientists of tomorrow and lets them open-up their minds to new possibilities. Open daily from 9:30 Am to 5 Pm every Monday to Friday and 10 Am to 6 Pm every Saturday to Sunday, the museum is definitely a place to be where kids can learn a great deal on science and innovation. Come and bring your kids along for some great quality time together and help your child understand and learn to love science. For more information about the exhibits in the museum, visit the website or contact them at their hotline number. See Some Amazing Animals At Bronx Zoo! 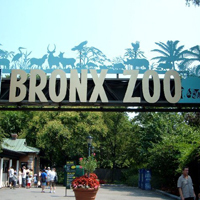 Perfect place for any fun activities with kids here in New York, Bronx Zoo is where you can enjoy seeing some amazing animals that you haven't seen before. Such animals include gorillas, polar bears, tigers, lions, zebras and many more. Kids will surely enjoy their stay here at Bronx Zoo and will have fun learning more about each animal on display at the zoo. Open weekdays from 10 am to 5 Pm and on weekends from 10 Am to 5:30 Pm, Bronx Zoo is open for everyone to enjoy and appreciate the beauty of each amazing creature. Visit Bronx Zoo today and bring your kids along. Have a fun educational activity with the kids where they can learn more about the animals and have the best time they ever had in this wonderful zoo. Fun Activities To Do In New York Aquarium! Come to New York Aquarium with your kids and enjoy seeing some amazing animals and enjoy the shows at Aqua theater. New York Aquarium is where you can have fun with some amazing activities such as feeding the penguins, the sea otters and the walrus. Kids will definitely enjoy these activities at the zoo. Also the place makes a very convenient and accessible location to go to and makes a wonderful place to enjoy a great time with the family here in New York. 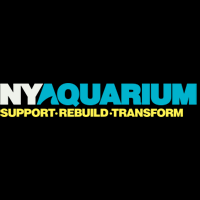 Visit New York Aquarium today and experience all the fun and excitement that the aquarium has to offer. Your kids will surely enjoy seeing some amazing animals and will have fun interacting with some of them. A Place For Learning Here At Queens Zoo! 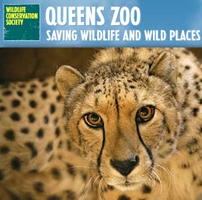 Visit Queens Zoo today and enjoy the amazing attractions. Perfect for any educational activities here in New York, Queens Zoo provides fun activities where kids will learn more about the creatures in the zoo and will learn to appreciate and love the animals. At an affordable rate of an $8 entrance fee for adults and $5 for children 3 to 12 years old, Queens Zoo is a great place for hanging out with the whole family and spending quality time together. Come to Queens Zoo today and let your kids enjoy the wonderful attractions and the fun activities. Visit the website for more information about the animals inside the zoo and for your inquiries. Central Park Zoo, Where Kids Can Learn And Appreciate Animals! 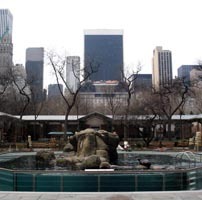 Let your kids in to some fun activities and visit Central Park Zoo today. A wonderful educational attraction for kids here in New York, Central Park Zoo aims to educate and to provide awareness to the importance of animals and its preservation. The zoo offers some fun activities where kids can have fun and enjoy. Such activities include feeding the penguins and the sea lions, watching a 4 D theater and an early bird's photo safari where you can get an up-close look and take pictures of their amazing birds. So come to Central Park Zoo today and plan wonderful and fun-filled activities for the whole family to enjoy and have quality time together. Visit the zoo and make it a wonderful experience that kids can enjoy.